The property seems to be managed well. Carrie has provided me great customer service. 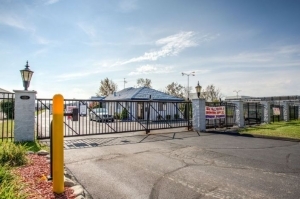 The facility has fences in good repair and the automated gate seems older but in good repair. I believe the property could use some love and care in the units. Maybe some updating and a good coat of paint would really update it's look. This place is in need of some love. The gate is in good repair. The place is clean but could use some paint and rust converter. The door to my unit was sturdy and my lock is good. This facility is not 24 he access but I don't need that. This facility is a good fit with the thing that I require at this time. Good price point compared to the competition. And better monitoring than the competition. Customer service is excellent at this location. The location offers a decent price. Yet the location needs some love and minor repairs before they become major problems. The drive also does need the approach patched or filled with concrete. Melissa made my experience easy and guided me through everything. The ladies had me all set up in no time and made sure I had everything I needed.. I have 2 units. The units were in a ugly old run down part of a Raytown strip mall. Cheap and the service from the manager was good, the unit was as described, fairly good looking units that were clean if not exactly spotless. Doors looked a little flimsy, and the gate access was broken at the time of storage but the manager said they were trying to get it fixed ASAP. You get what you pay for, and here you don't pay a lot. Customer service was great i would definitely recommend!!! The stirage space was very small but i was okay with that. They are really high priced for no reason the qebsite said they had a special online. And i had to literally beg for the position. 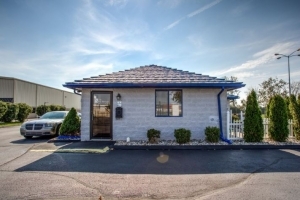 I was in imediate need of storage and when I walked in they had me a place immediately. No waiting or anything. 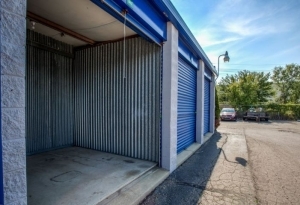 The people were very helpful and had me in a storage unit within 20 minutes. I arrived just shy of closing time and she was more than willing to stay longer and help me get set up. Very nice lady. The representative was very friendly and kind. After finishing up all the paperwork in the office I left to get a lock from Ace Hardware and then returned to find that my gate code did not work. The woman in the office had left for lunch and was gone for about an hour. Meanwhile another renter allowed me into the storage area via his code after I showed him my paperwork. I placed all my items inside my storage unit and then found myself locked inside of the gates until the office lady returned from lunch. I informed her that my code did not work and she apologized and told me that they have had some problems with new account codes sometimes not working. She re-entered my number and then went out and entered it into the pin pad at the gate and confirmed that it worked. I got this unit to store items that I take to Swap and Shop just down the road and have used it several times already. For my needs this is a great deal and easily accessible. My advice to any getting a unit here is to make sure the code for the gate works before leaving. Despite the computers being down when i arrived, i was still able to move in as planned. Very good, although had a hard time finding the facility. The office person, Whitney was helpful and answered every questions perfectly. I just moved in this weekend and I'm comfortable that my possessions are in a safe place for a reasonable price. They were very helpful at this location, and the price was right! My experience at the facility so far has been good. I have only been there once 7/72013. 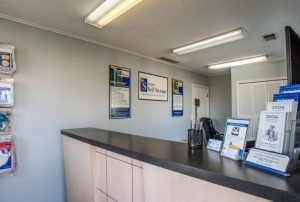 The staff was very courteous and friendly and helpful. she explained all the requirements, made suggestions and assured us that we had made a good choice of service. Clean, well lit, secure, and easy to start with a great low price! Beth is a sweetheart who gives wonderful customer service! Recommending this place to everyone. 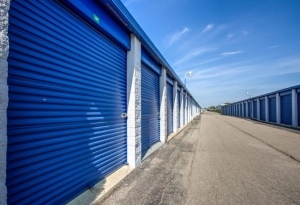 I am so thankful to have found this facility - have been using storage units for years between St. Louis and Kansas City, MO and this is by far the best facility I have used. It is clean, affordable and safe. Manager, Beth is beyond competent and wonderful. She is very focused to take care of business thoroughly and with a kind heart. I highly recommend this facility. I enjoyed working with Beth. She is very personable and through in discussing conditions. Beth made this experience all worthwhile! Very good - Personell (Beth) is helpful and courteous. Everything is awesome, except the new owners. They took out the dumpsters and now i got a 1/4 lot full of shipping garbage. I am a contractor that receives tons of shipments to my lot, with that comes tons of packing crap. Cheaper then other places but older facility. The prices are half that of other comparitive facilitys. Friendly staff. Online special pricing is alittle misleading. Online price is for 4 months only then price goes up every couple months. Our unit (10 by 10) is somewhat old, the walls are rusty in places and the doors are worn at the bottom. Still worth the price and the units have lights in them. Security seems good. Whole facility is on a slope so there could be flooding if the storm draines ever got clogged. (we hope not). Good online deal, and a good on-premises staff. The management staff is outstanding. My complaints about the company are (1) the advertised "First Month Free," which is a big deal, was not honored. I was desperate, so I rented anyway, and (2) the website doesn't specify the rental fee of $29.00 per month is for 4 months, only. The staff are very friendly and helpful with questions or concerns. The pricing seems to match most of the other locations I looked at in the area. The pavement if very rough and choppy to drive which was disappointing as I was storing a trailer. It is also a little difficult to get out of the parking spot because of the drop-off right next to the entrance. It is hard to see the drop off and if you don't turn just right, you could be in trouble. 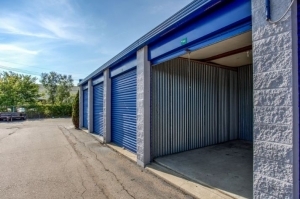 I rented a small storage unit and was very pleased with the service I received. The online pricing says it is $23 per month. When I got to the facility to do the paper work the sales clerk indicated it was $23 for the 1st 4 months then the price increase every few months up to the most of $41 per month. I think this is very misleading and false advertisement overall because online does not say anything about pricing increases. Overall the rate was still fair, but very misleading in general.